With more than 100,000 monthly unique visitors, Drink of the Week is one of the leading websites for cocktail connoisseurs. Drink of the Week will put your brand in front of the most savvy craft cocktail enthusiasts, bartenders, influencers and journalists. Drink of the Week offers standard IAB Ad Units (728×90, 160×600, 300×250, 125×125). These are offered on a CPM (cost-per-thousand) basis. We also offer the 125×125 buttons and text ads on a weekly flat fee. All ads can all be purchased through Federated Media. A weekly 125×125 badge is available for just $90! Monthly sponsorships of the whole site, liquor category and other sections are also available. Honestly, we’re open to just about anything reasonable. 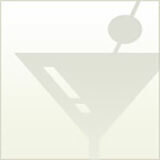 We are happy to review and post about new liquors, mixers, bar tools and other drinking accessories. In order, for us to review we need a sample and some info about the product. If you have drink recipes to share, please submit them here (brands welcome).